We accept more dental insurances than any other office in Hawaii. Flexible financing options with 0% interest and same as cash options. If you've chipped or cracked a tooth, call us. A pain free smile is moments away. From cleanings to oral surgery, we’ve got you covered. Hawaii Family Dental is the only office in Hawaii that offers every speciality. Do you want more than healthy teeth? A gorgeous, straight, white smile awaits you. We are Hawaii’s premier cosmetic dentists. An affordable way to fill missing tooth gaps to get a healthy, beautiful smile. Keeping our teeth and mouth healthy is necessary for our overall health. Part of good oral care that we must practice is visiting the dentist at least twice a year for routine dental check-ups. Patients with a damaged, chipped or cracked tooth need not hide their smiles any longer. Natural looking fillings that are strong, durable, and look great. Dental implants are replacement teeth that look, feel and function just like natural teeth. Porcelain veneers are thin shells of ceramic that bond directly to the front surfaces of the teeth and can immediately improve your smile. Delivers up to 90% less radiation than traditional x-rays. Get out of pain now. We have emergency appointments during the day, evenings, and Saturdays. We can restore (root canal) a cracked or decaying tooth to look and function like any healthy teeth. Our primary focus braces and Invisalign is to emphasize jaw health and cranial health while also straightening teeth. More moms have trusted our dentists since 1986 than any other dental office. One of the best ways to avoid cavities and expensive dental visits is with regular teeth cleaning and checkups. Also known as odontoplasty, tooth reshaping is a quick and painless procedure that is effective in improving the tooth’s appearance and the overall dental health. Enjoy a white, healthy smile. Our dentists can give you a whiter smile with doctor-prescribed treatments, versus over-the-counter whitening that exposes your teeth to chemicals for longer periods of time. While our focus is on preventative care, sometimes a tooth needs to be removed. We perform extractions in the least invasive method as possible, shortening your recovery time. Honolulu Magazine awarded 35 of our dentists the “Best Dentists in Hawaii” award, five times more than any other dental office. 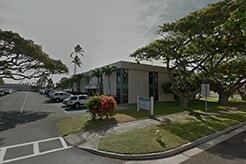 Compassionate, gentle care is available in Aiea, Downtown Honolulu, Ewa Beach, Hilo, Honolulu, Kahului, Kailua Kona, Kaneohe, Kihei, Lihue and Mililani. We won't let finances get in the way of your perfect smile. Hawaii Family Dental accepts all major insurance plans, including HMSA, HDA, Aetna, Cigna, and more. We also offer flexible financing plans with 0% interest and a discount dental plan. Hawaii Family Dental is the exclusive provider of the HMSA HMO Plan. HDS is the first and largest nonprofit dental insurance company in Hawaii. When it comes to staying well — physically, financially, emotionally — we’re with you all the way. We want to keep you smiling for a lifetime. All of my experiences here have been five stars and my last teeth cleaning was awesome. It was so refreshing and my teeth shine bright like diamonds now. Thank you Hawaii Family Dental for all of your Aloha! I finally found a dental office my family can trust. The entire staff makes us feel like family, from our grandchildren to my wife and I. We can make appointments in 2 days, the kids love getting toys when they're cavity free, and we like the gentle cleanings. If you need a great dentist, Hawaii Family Dental is the place to be. My hygienist Cheryl was friendly and gentle throughout my entire appointment. She did a very good job - it was pain free and she gave me valuable advice on keeping my gums healthy. Some people have obvious symptoms, including those below, while others may not. Our goal is to relieve your pain. You’ll be seen, diagnosed, and treated the same day. Call 808-748-4985 to schedule an emergency appointment. Start children early. One in four children has tooth decay before they start school. Seal off trouble. Sealants can reduce cavities until permanent teeth come in. Use fluoride. Hawaii does not have fluoride in our water. Ask your dentist if fluoride is right for your child. Brush twice a day. Don't forget to change the toothbrush 3 to 4 times a year! Make an appointment. Most dentists recommend a check-up every 6 months. Extended weekday and weekend hours on the Big Island, Kauai, Maui, and Oahu. Have questions about your dental coverage? Don’t see your insurance plan listed? Call us at 748-4985. Assurant GEHA Connection Dental Federal Maximum Care Network/Security Life Starmount Life Insurance Co.